Today, we highlight tremendous business analyst and post-consulting leadership jobs at Google. Google is a California-based company that many consider to already run the world! With over 70 offices and 30,000 employees around the world, Google has become THE major player in Internet products and services in only 15 years. Founded in 1998 by current CEO Larry Page and Sergey Brin, Google recruits top talent from the best schools and companies across the globe – in fact, they are one of the only firms that works hard NOT to hire consultants and has built an internal consulting powerhouse. Some of Google’s products include Gmail, Google search engine, YouTube, Google Earth, Picasa, and Google Voice. How many Google services do you use? How many more do you think are on the horizon? Google’s hiring culture is as storied as the company’s history – current team members are incredibly involved, and the process includes fit and case interviews, essays, and a hiring board review – all told, it can take 3-6 months or more, and an internal recommendation (get networking, y’all) is heavily weighted. They look for multi-dimensional staff with an interest in technology, hard-core analytical skills and demonstration of innovation and leadership. Have you ever wondered what it’s like to work at Google? Does “The Internship” with Owen Wilson and Vince Vaughn tell it like it is? With all the hype, we’re offering a bit about Google culture that you might not get from Hollywood or the street. Google is the epitome of a Bay area start-up.The company promotes based on ability, not experience, and without respect to age and tenure. Googlers believe in shooting for the moon, so people with wild ideas are totally welcome. The “work hard, play hard” culture shared by the company’s 30,000 Googlers worldwide resonates through the halls of the corporate offices – where game rooms, jungle-themed lobbies, and locally grown lunch options abound. You won’t find boring, gray working cubicles at Google – you’ll experience colorful, dynamic surroundings that promote creativity, collaboration, and innovation at every level. From a strategic perspective, Google is an interesting place to work. It’s one of those rare places where you won’t get pigeon-holed into a specific area of expertise. If you onboard with Google doing strategy, you could find yourself working on mergers & acquisitions, operations, or even corporate finance in different business areas. With the breadth of their business and the various sectors they touch, the opportunities to learn and grow are fantastic. A strategy position at a lot of other firms will force you to focus on a particular area, e.g., managing costs or managing the supply chain. In contrast, Google’s internal operations allow for each business division to operate fairly independently – which means a lot of opportunity for candidates with a consulting background. As far as the actual interview process goes, again, you can expect it to take anywhere from 3-6 months. Usually, the process will begin with a generic phone screen, where the recruiter will just be looking to see that you’re not too crazy (even for Google). This phone screen will consist of your typical behavioral questions, perhaps with a couple questions about your professional background sprinkled in as well. If you haven’t already, you’ll be asked to write multiple essays on a topic of the company’s choice – these topics won’t always be what you expect! 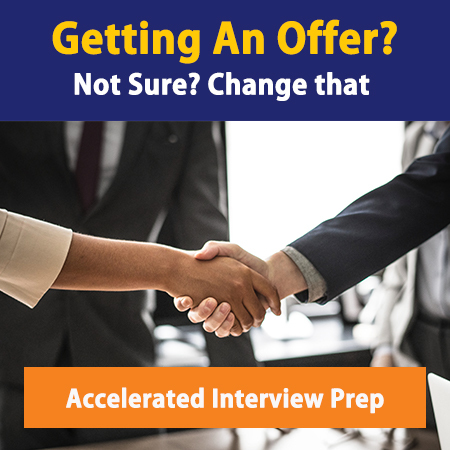 Next, you’ll be invited in for 1-3 rounds of interviews in office, with each round consisting of business problem-solving (make sure you brush up on that Mental Math!) and a fit interview portion. Because of the highly competitive nature of landing a position at Google, as well as the company’s core value of including current employees in hiring decisions, we consider it almost imperative to have an ally inside the company while you are going through your interview process – not unlike in consulting. This is where those of you who kept up with building your network during the busy days of working in consulting will reap the rewards. So, network, network, network, and schedule a Power Half Hour with one of our ex-MBB consultants to build a customized plan of attack and see if this is the best fit for your next career step.